Beautiful Geneva, Switzerland sits at the foot of the Alps around the banks of Lake Geneva and is the second largest city in Switzerland, behind Zurich. 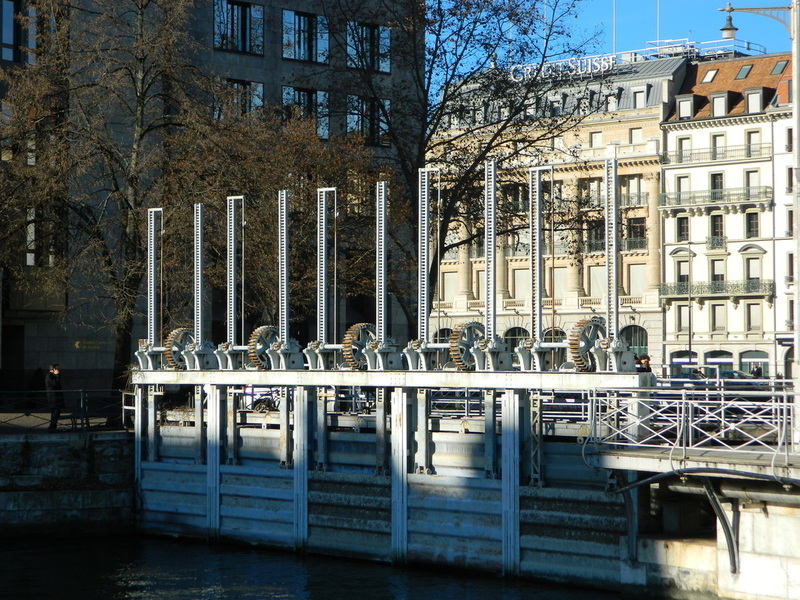 Geneva is home to the European headquarters of the United Nations and the headquarters of the Red Cross. 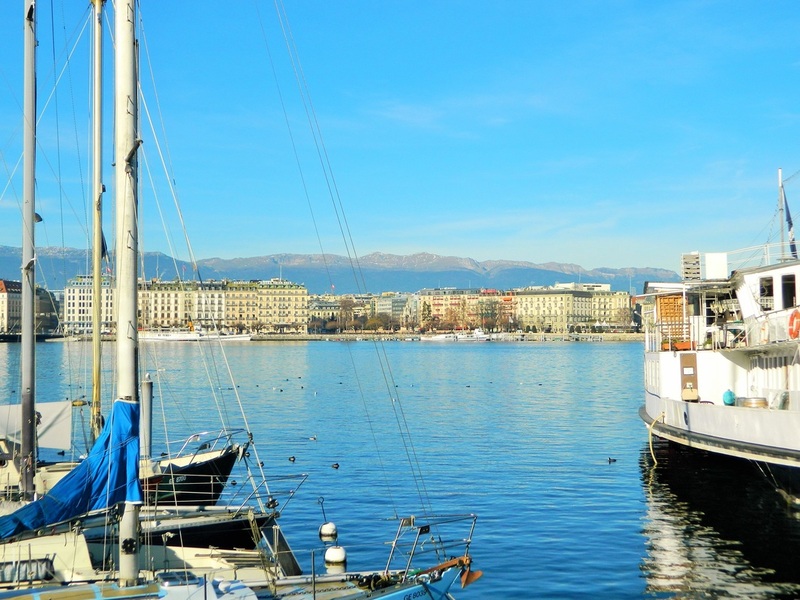 Though the official language of Geneva is French, English is widely spoken, along with numerous other languages...almost half of Geneva's population is from other parts of the world, making it a truly International city. 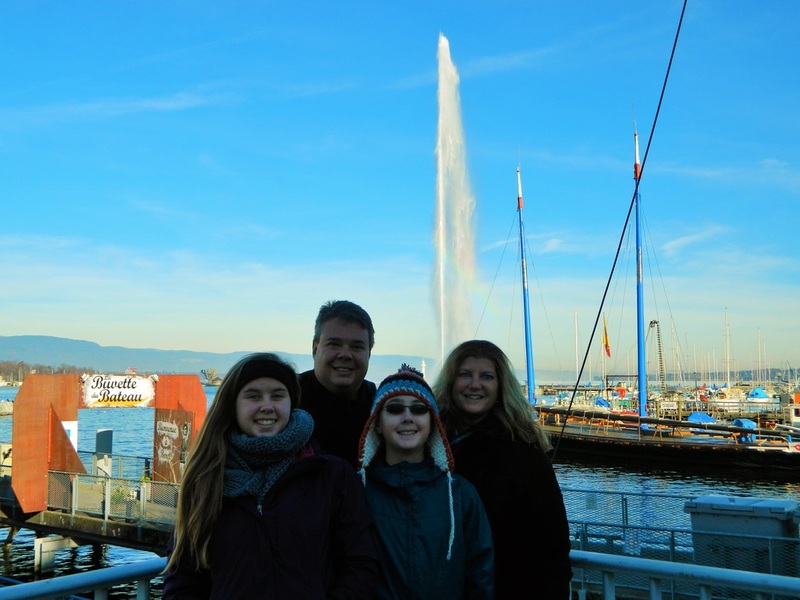 One of the main "must-see" sights in Geneva is the Jet d'Eau, pictured below. It is one of the tallest water fountains in the world, shooting a powerful stream of water to a height of almost 500 feet. The fountain shoots out water at 125 miles per hour! According to Geneva.info, the fountain was created out of necessity in 1886 as a safety release for a nearby hydraulic plant, but it's aesthetic qualities were soon appreciated...just five years later, it was relocated to the center of the lake and enhanced to become one of the main symbols of the City of Geneva. 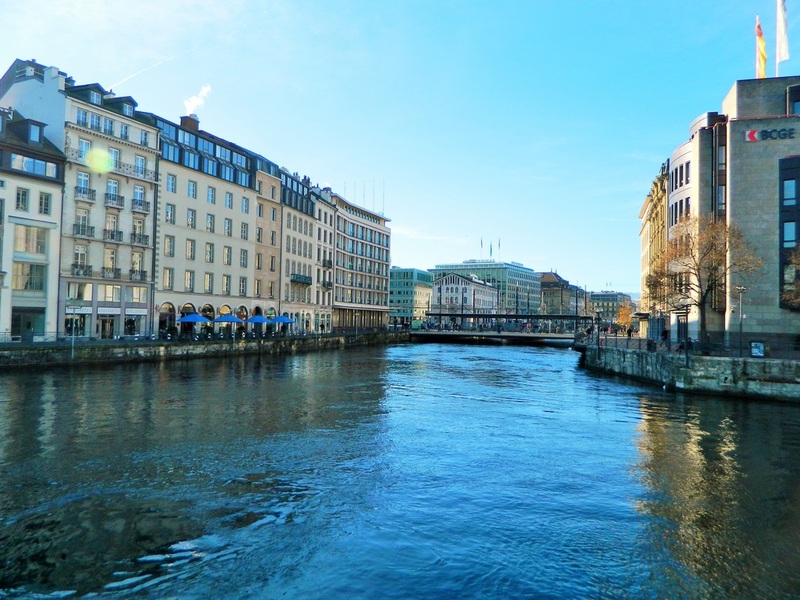 The Rhone river flows through Lake Geneva from the Rhone glacier in the Swiss Alps and continues through the city of Geneva, then all the way south through France where it lets out into the Mediterranean Sea. Throughout the city the river creates canal-like water-ways which are controlled with a series of locks to enable boats to travel on the river. 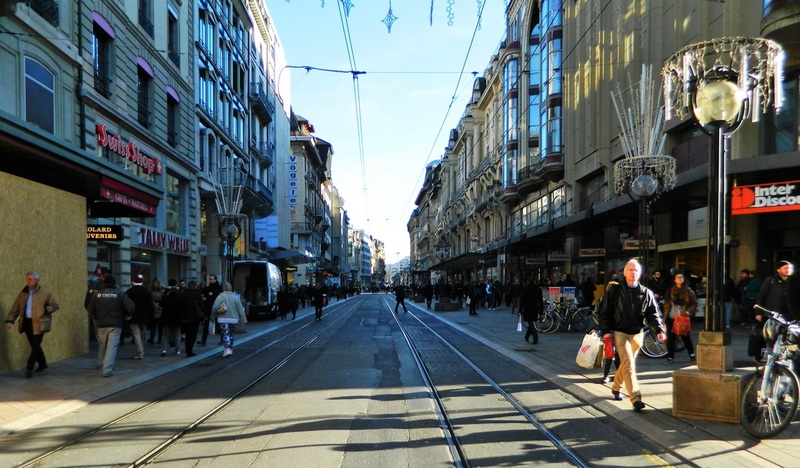 The street pictured below is Geneva's Rue du Marche...one of the longest shopping streets in Geneva. See how there aren't any cars on it, and only train tracks? True to form, we accidentally drove right down the middle of it (we accidentally do things like this a lot--we've seen more than our share of sidewalk cafes and pedestrian piazzas by car). And once you're on it, there's no turning back...you just have to white-knuckle it all the way through, pray that no trains hit you head-on, and try to ignore the fact that everyone has stopped to stare at you. Super fun! If you like to shop, Geneva has everything you could ever want and more! But bring a LOT of money...everything is expensive in Switzerland! 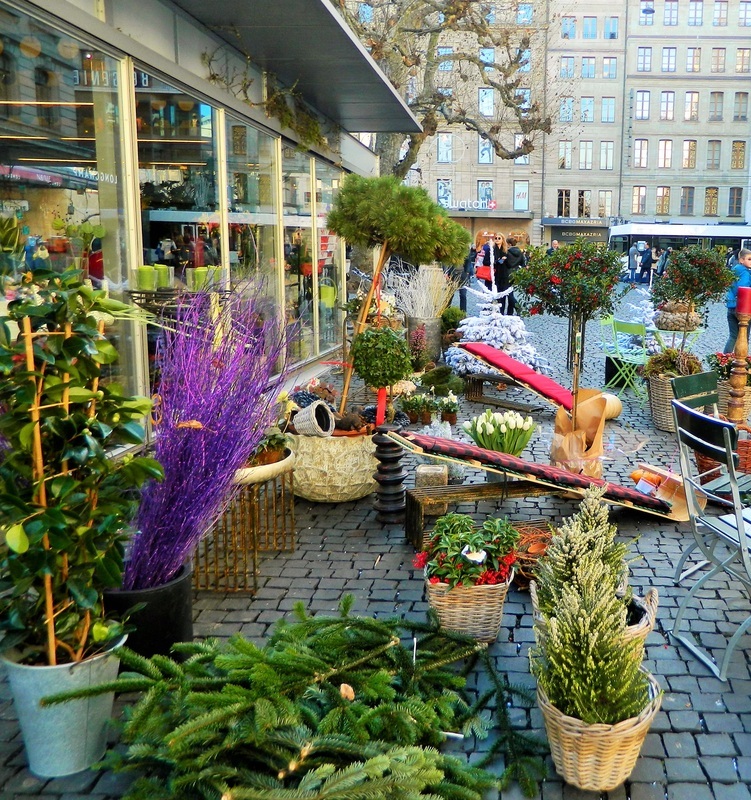 From high-end boutiques to quirky artisan markets, Geneva is a shoppers paradise. The city is full of charming plazas like the one pictured below. The currency in Switzerland is the Swiss Franc--with today's great exchange rates, one franc is equivalent to one US dollar. But, still expect to pay more for everything in Switzerland. 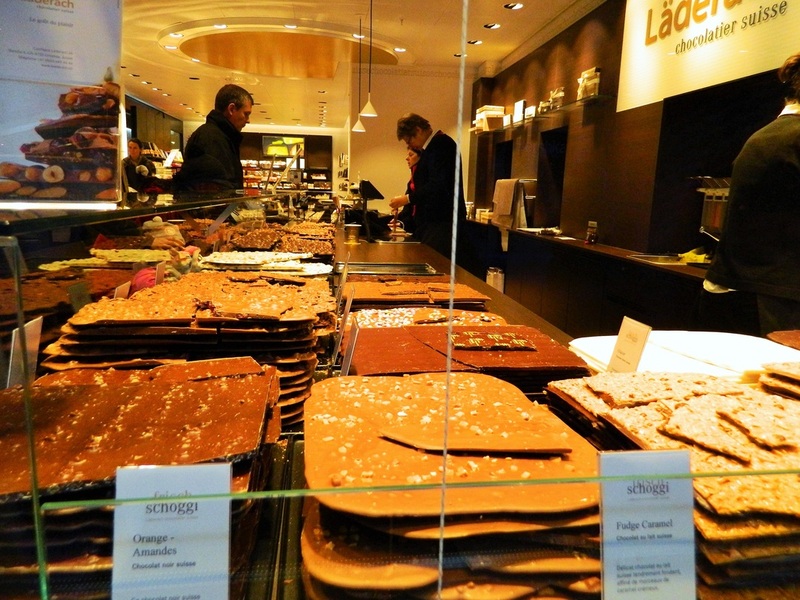 Geneva is full of amazing chocolate shops. The Swiss ARE known for their chocolate after all. We found all kinds of beautiful treats to sample and enjoy! When we visited Geneva, we stayed in France in nearby Gaillard. In fact, many people who work in Geneva live in France and make the short commute each day. The nearby French city of Annemasse is only about two miles from the border with Switzerland and the city merges with Geneva, sharing common streets that flow from one country to the next. 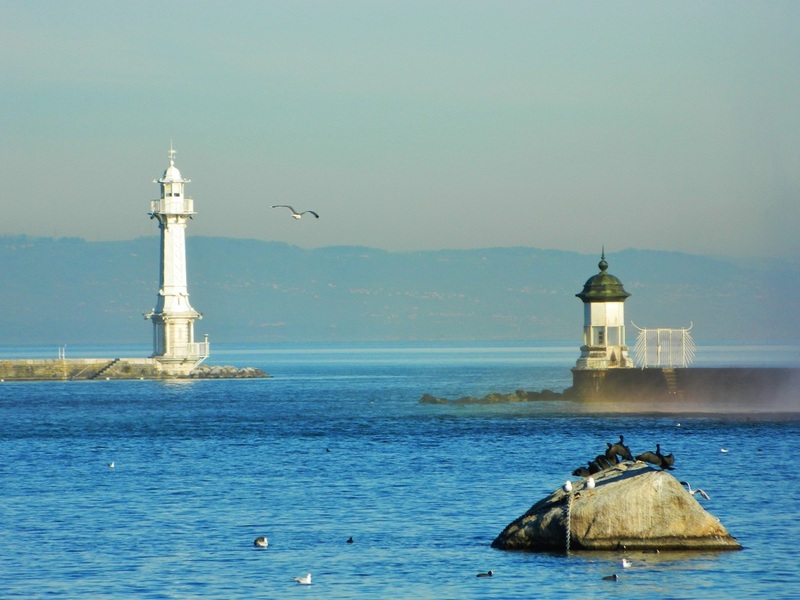 The border is essentially non-existent in this area, and residents enjoy a lower cost of living in France with all the benefits of living in Geneva. 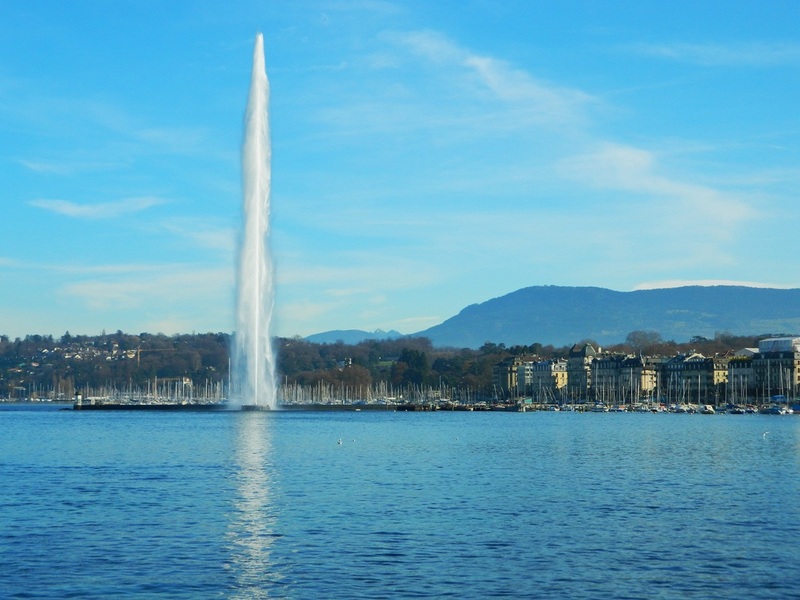 If you're shopping for a hotel for a visit to Geneva, nearby France will likely have more lower-cost options. 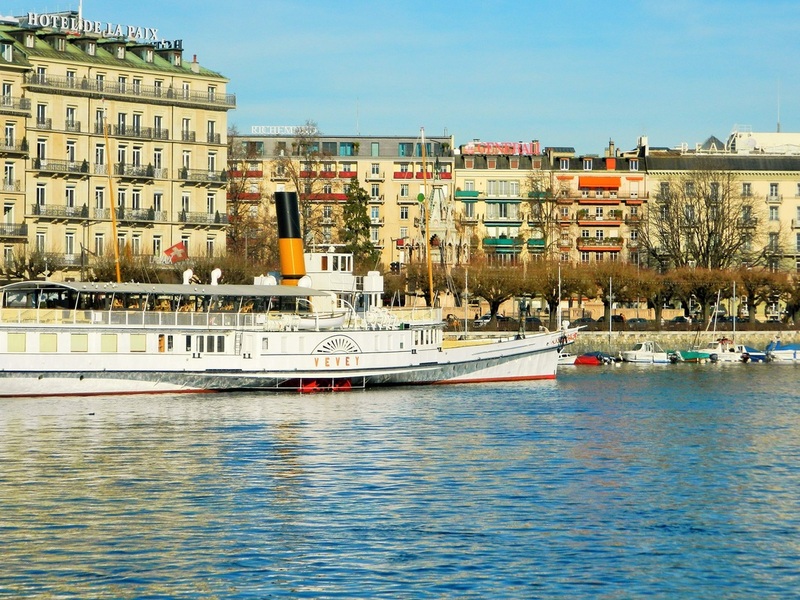 For more information on things to do in Geneva, check out the comprehensive list from Jen Reviews, and the official tourism website below.